A unique programme for new and experienced B2B sales professionals who want to consistently out-sell their competitors. 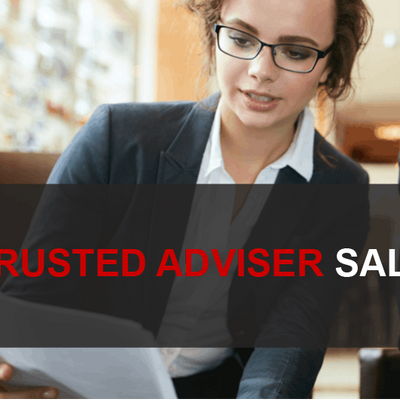 It is widely accepted that when you achieve Trusted Adviser status with your prospects and customers, your competition falls away and your conversion rates dramatically improve. Our highly interactive training day will include role plays to ensure participants get the opportunity to practice the unique blend of skills and behaviours that are required to become a successful trusted adviser. Because of the highly engaging and interactive nature of this programme, you will be spending the day in a focused group of no more than 10 professionals. The course is delivered by Tim-Dixon Phillip, a highly-experienced sales professional who brings practical insights and advice to the session. Tim's 20+ years of experience ranges from some of the world's most innovative and respected firms such as IBM and Ernst & Young, to his current NED roles with SME's delivering high-impact sales strategies. PLACES ARE LIMITED! - due to the high level of interactivity of this course, cohorts are limited to 10 registrations so book your place before all spaces are full! *Please note that pricing is based on Skills Bank subsidy for Sheffield City Region based firms only. On registration we will be in touch to confirm eligibility to receive the discounted rate.